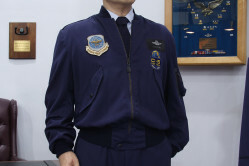 General Howell M. Estes, Jr., was a command pilot and first commander of the Military Airlift Command (MAC). This maple shadowbox was presented to General Estes in December 1967 by the non-commissioned officers at McGuire AFB, New Jersey. 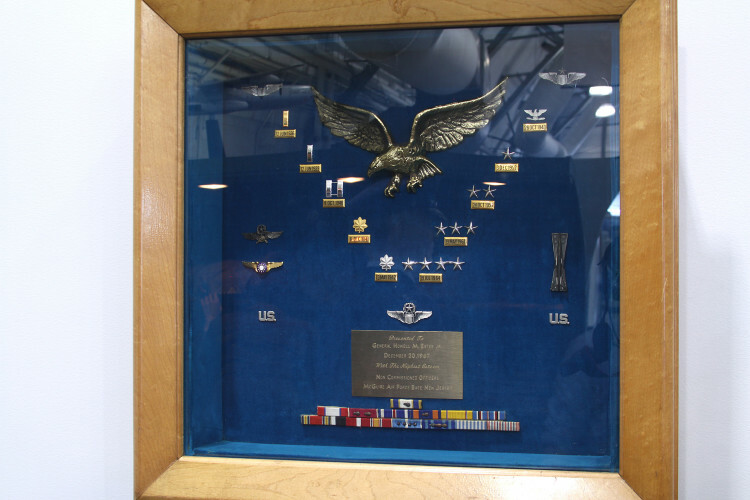 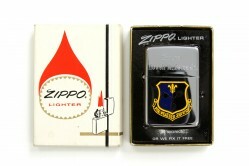 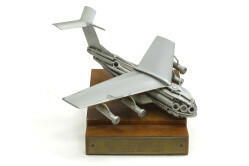 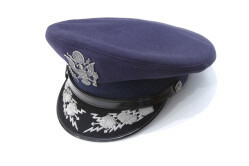 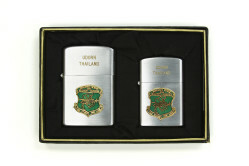 The shadowbox contains a center-mounted eagle, rank insignia with the General’s dates of rank, pilot aviation badges, missile badge, and ribbon bar.